To those who can access it (read: U.S. users), the Amazon Appstore may seem like one of the best things since sliced bread - it trumps Google's own web-based Android Market in almost every way. One of such differentiating features is the Goldbox-like Free Premium App of the Day concept that, like Groupon and its competitors, was introduced to provide great deals to consumers and giant spikes in traffic to app developers. Of course, it was no surprise that the first such premium app given away was Angry Birds: Rio (though, it remains free to this day and was clearly more of a marketing ploy), but the next few apps were not really that exciting. Today's app, however, is a whole different story. The premium version of Shazam, called Shazam Encore (normally $5), is, you guessed it, free in the Amazon Appstore for the remainder of today. 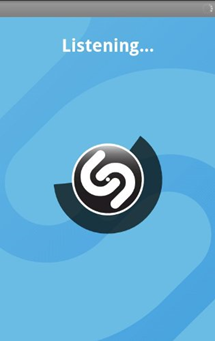 Shazam was the first Android app to offer remarkably accurate song identification by simply listening to short audio segments of whatever is playing around you. 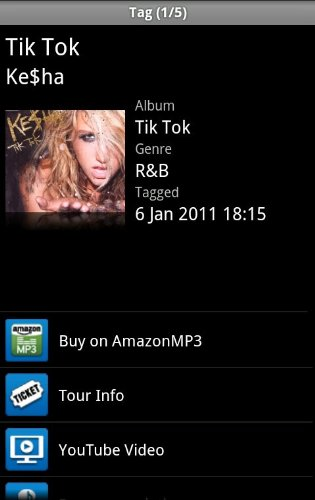 The app was free from the start but then went premium, leaving free users with only 5 tags per month. 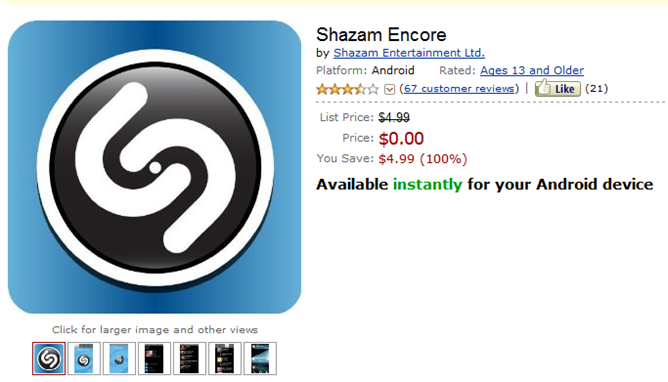 At the same time, the company introduced Shazam Encore, which offered unlimited tagging for $5. 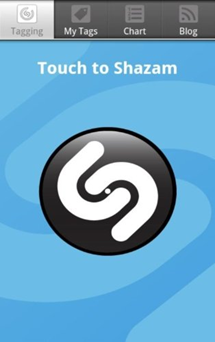 Those with access to the Amazon Appstore can download Shazam Encore for free for the next 13 hours or so. Those without, which is unfortunately, most of the world, will have to watch from the sidelines and pollute nearby air with curse words of increasing complexities. If it's any consolation, Soundhound, Shazam's largest competitor who some swear by as a more accurate tagger, started offering free unlimited tagging a few months ago.